No fault prone servos, gases or explosives are needed! 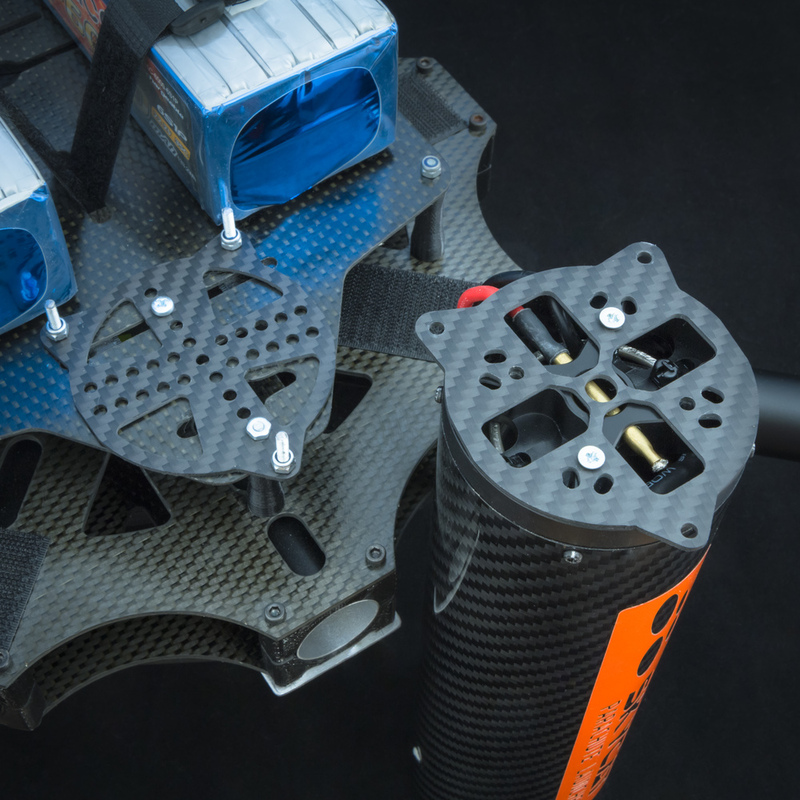 X68 is suitable for medium and large copters such as DJI s1000, up to 20 kg! 84-SUL package contains 1 m extension cord as standard for stabilising the descent and for extending the parachute and copter distance. For other packages extension cord usage is recommended too as an accessory. We offer many kinds of mounting options, check them out at the store. Launcher needs to be supported from the base, against recoil forces. For custom installation, X68-CF launcher features M3 threads at the base. Velcro can be used to secure launcher in place. Total system weight: Approx. 420g (0.93 lbs) , including X68 launcher, parachute and trigger. X68-CF launcher is made of carbon fiber tube combined with precision NC machined POM plastics. Manufacturer's size data: Effective diameter when deployed 60 in / 1,52 m.
Manufacturer's size data: Effective diameter when deployed 84 in / 2.14 m.
Manufacturer's size data: Canopy area 4.0 m2.